Khamu language. Evangelism tools, church planting resources, Christian songs and audio bible study materials. Download free MP3s. Short audio Bible stories and evangelistic messages that may include songs and music. They explain salvation and give basic Christian teaching. Previously titled 'Words of Life 1' (A16030). Short audio Bible stories and evangelistic messages that may include songs and music. They explain salvation and give basic Christian teaching. Previously titled 'Words of Life 2' (A16031). 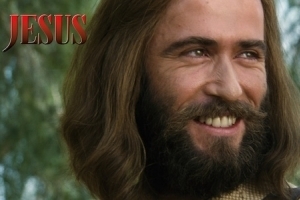 An audio drama based on the Jesus Film, taken from the gospel of Luke in the Christian Bible. (A35880). An audio drama based on the Jesus Film, taken from the gospel of Luke in the Christian Bible. (A35881). Short audio Bible stories and evangelistic messages that may include songs and music. They explain salvation and give basic Christian teaching. Previously titled 'Words of Life' (C16660). Short audio Bible stories and evangelistic messages that may include songs and music. They explain salvation and give basic Christian teaching. Previously titled 'Words of Life' (C06700). Other information: Understand Lao; About 2,000 Christians & Buddhism.